For those of you who do not know what KNOW YOUR BAB BRIDE is all about let me explain. I provide questions both to the married and engaged BAB brides and ask them to pick five they want to answer. If they choose more than five I am perfectly fine with that. The more to share with us, right? I also ask them to provide pictures they want to share. I pull it all together and present them in this blog to share with all of you. If you love weddings like I do and can never get enough of the beautiful pictures, then this blog is for you. Also, newbie BABs particularly may find this blog useful as they get to know their fellow BABs. This week’s featured BAB is **Purr-Fection***. **Purr-Fection*** was married in Columbia, SC. 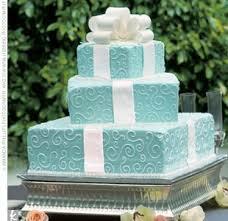 Her colors were Aqua and White and she describes her wedding day using these three words: Love, Celebration, and Fun. What was the one thing about your wedding day you wish you had planned differently? The timing of day would be one thing I wish I planned differently. I had my ceremony outside at the end of May. Needless to say, it was entirely too hot! I planned the ceremony for 6:00pm, hoping it would cool down, but it did not! It was almost 90 degrees outside. Even though I did supply my guests with bottled water and fans, I still felt bad because it was so hot! My poor husband was dripping sweat by the time the ceremony was over! Would you recommend having a planner and/or DOC (Day of Coordinator)? Why or why not? I definitely recommend having a DOC if not anything else. A good DOC will help your day move freely and smoothly without having the bride go crazy. They should be able to take care of everything from dealing with vendors, to satisfying guests. Definitely a good investment if you want to be sane on your wedding day. What was the funniest thing to happen on your wedding day? We had two funny moments. The first was my veil coming off in the middle of the ceremony. All I could say was “Oh Lord, my veil…Somebody come fix my veil!”, in the MIDDLE of the pastor talking and all! Thankfully one of my hostesses was right there to help me out! LOL! The second moment was when we were hugging the parents, and Kelvin grabbed Kayden (our daughter) to give her a kiss, and when he did she drooled all over his mouth. His reaction was priceless! Did you experience the “ugly cry”? Yes, I did, when Kelvin surprised me with the vows he wrote. They were so sweet and he was so nervous saying them. My heart melted. Kelvin and I were high school sweethearts. We met during my freshman year in high school. What song did you choose for your walk down the aisle? Why this song? “Never Felt This Way” by Brian McKnight. I have always loved this song, and always wanted this to be the song I walked down the aisle to. Thank you **Purr-Fection*** for sharing your day with us! Love it! This is a great idea Paula! Somewhere in the last photo where you both like jumping together…was that a sort of tradition? Actually we have that too, the newlyweds stomp on a piece of plate in front of a door before they step inside. Beautiful event and color scheme! I love this idea as well Paula! Can't wait to see more! Andre, what you are referring to is the "Jumping of The Broom" ceremony. This is traditionally done in African American Ceremonys. You can learn more about it here. This is a great feature for the blog! !